The Social, Theological And Geographical Aspects of The Mosques of Europe. Mosques have been visible in the European landscape for centuries, firstly thanks to the Moors in Spain, followed by the Ottomans in the Balkans and the Tatars in the Baltic region. More recent additions have been made due to the arrival of migrants and refugees from Muslim countries. European engineers and architects have declared mosques to be some of the most beautiful architectural wonders in the world. This presents opportunities to add aesthetic value to the European cultural heritage. However, it is of critical importance the design of European mosques fits in with the European cultural heritage. Specific criteria for the construction of mosques and minarets could be defined so as to integrate future mosques in the existing architectural heritage. The result should be greater support for the idea of adding the mosques to the public space, rather than banning them. This does not mean that European mosques must abandon a long and rich heritage. For example, while minarets are not fundamentally important to the construction of a mosque, they are of symbolic importance to the identity of many migrant and refugee Muslim communities in Europe and as such they help to prevent a sense of cultural alienation. The construction of large mosques in Western European symbolises the existence of a new self-confidence in the Muslim community in Europe after decades of life in the shadows. This new visibility in the public space evokes criticism from mainstream society and contributes to the heated debate about the role of Islam in Europe. While some reject the construction of mosques out of hand, tolerant voices emphasize that mosques can also serve as venues for inter-religious and cultural exchange. 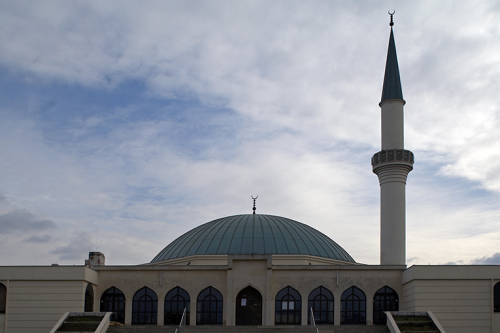 Mosques are a significant social platform for religious and cultural exchange and a sanctuary for individuals to explore and practice their beliefs. Mosques also helping to make Islam visible, replacing undignified prayer sites in warehouses and basements and demonstrate that Islam is part of European history and modern European life. "What makes a mosque a mosque? That's easy: a wall that is exactly aligned to Mecca". So short and succinctly does the Kuwaiti designer and architecture, Professor Omar Khattab, define the characteristics of a Muslim place of prayer. The architecture of the mosque, while replete with traditions and references, has only a few aesthetic design requirements. That leaves the designer free to re-imagine how a mosque should look. The old mosques from those regions of Europe which at one time had been under Muslim rule, as well as the first immigrant mosques, live up to expectations of the stereotypical mosque. 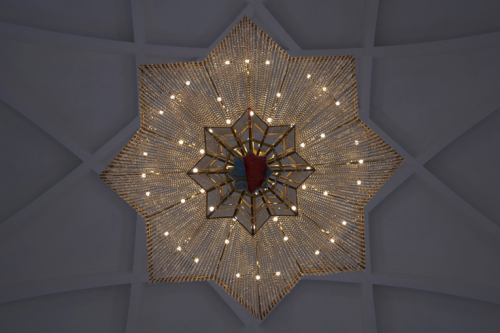 In contrast, mosques that have been recently built, along with those currently on the drawing board, take many of their cues from the surrounding ascetics and trends in modern European architecture while remaining true to core traditional values. Examples of this can be seen in the large mosque in Rome, the mosque in Penzberg in southern Germany and the impending large mosque in Munich's city centre and Britain's first green mosque in Cambridge. 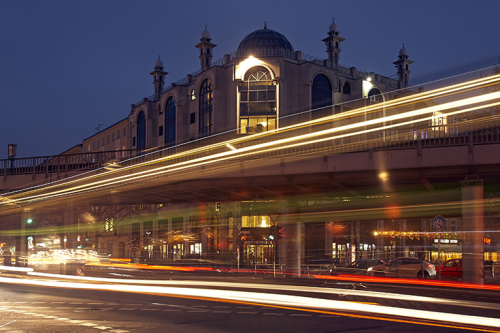 Copenhagen has also recently added its first large purpose-built mosque, and plans are on the drawing board for more. 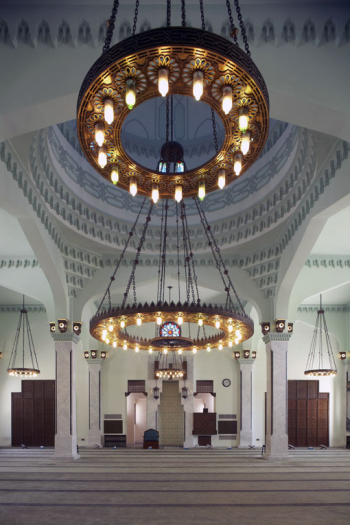 These mosques incorporate architectural diversity, modernity, transformation and reinterpretation of the classic Islamic architecture and have emerged as a new and self-contained European Islamic architecture. They express an identity where Muslims can exercise and develop their spirituality in a European context. Ahmed Krausen lives and works as a freelance photographer in Copenhagen, Denmark. For over a decade, Ahmed has concentrated his photographical work on the physical manifestations of Islam in Europe. As a European Muslim and convert to Islam, Ahmed's faith is the central inspiration for his photography. The focus of this project has to make the diversity of Islam in Europe visible. This is accomplished by combining of images of both ancient and modern mosques from different European countries, thereby providing a glimpse into Muslim lives in Europe. Ahmed's photos have been displayed in many countries, including Germany, Italy, Cairo, London, and the United Arab Emirates. His work has also been included in numerous books and articles. Visit his website at: www.ahmedkrausen.com. Most of the mosques, such as this one in Novogrudok, Belarus are built out of wood, owing to a regulation giving the exclusive right to Christian churches to be built out of stone, as a demonstration of Christian superiority over Islam. The wooden mosques have evolved into a symbol and identifying attribute of the Lipka Tatars. Mezquita de los Andaluces Universidad Islamica Internacional Averroes de Al-Andalus in Cordoba, Spain. The city is one of the oldest in Spain, and was founded before the Roman time. 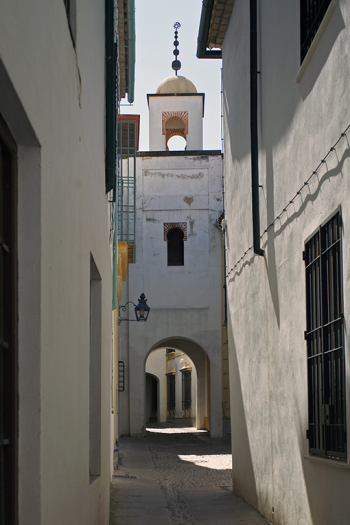 After the Muslim conquest Cordoba became the capital of al-Andalus and a centre for education and dialogue under its Islamic rulers. Al-Andalus is one of the few places in Western Europe where the Adhan (Islamic call to prayer) is allowed to be broadcast in a public space. 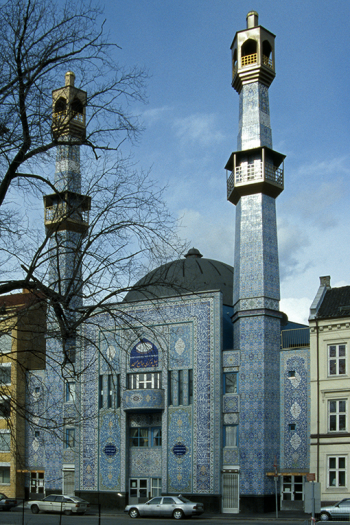 "First Central Jam-e-Mosque Oslo" The first mosque of Norway, Estd. 1995 Architect: Veli (Norway). 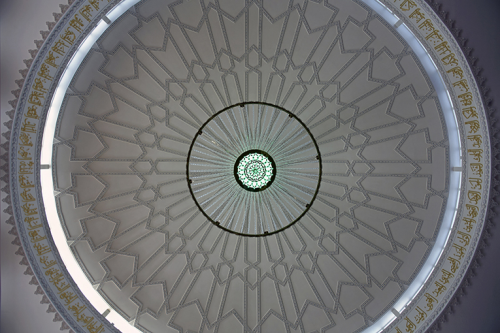 The dome of La Grande Mosquée de Lyon, Estd. 1984, France. France has with more than 6 million Muslims making it the largest Muslim community in Western Europe. The prayer room of the mosque on Gibraltar, a British peninsula on the southern Spanish coast. 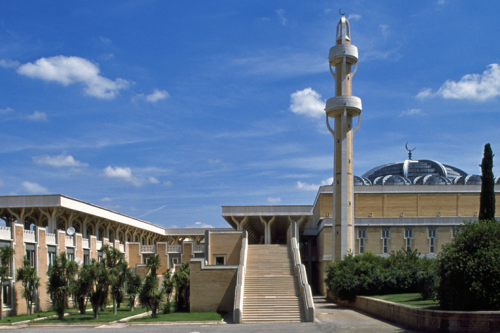 "Centro Islamico Culturale D'Italia" mosque in Rome is one of the largest in Europe. This project was funded by 23 Arab and Islamic states. The mosque is a mixture of a modern architecture and old Islamic tradition. 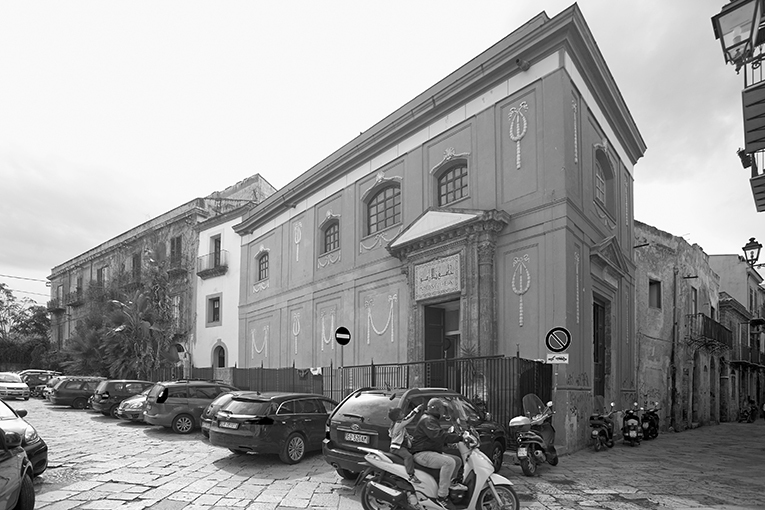 Architect: Paolo Portoghesi, Vittorio Gigliotti and Sami Mousawi. The "dispute" between the builder of the mosque and the Italian authorities was that the minaret was not permitted to be taller than St. Peter's Basilica in Rome. The dome of the first large purpose-built mosque in Denmark: Hamad Ben Khalifa Civilisation Centre, Copenhagen (2014) Architekt Metin Aydin. The Fatih mosque is located in the former Saint Ignatius Catholic Church in Amsterdam, Holland which was built in the 1920s and used as a church until 1971. 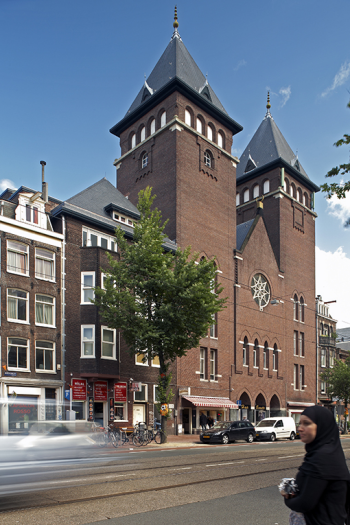 In 1981, Muslim immigrants to the Netherlands converted the church into a mosque. 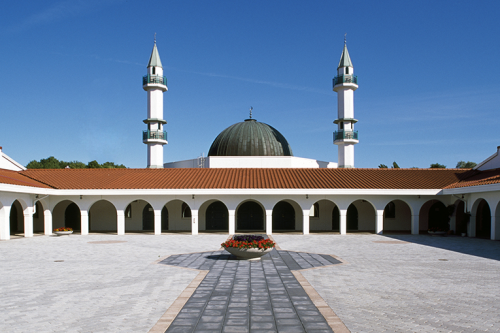 The mosque in Malmö, Southern Sweden, was opened for believers in 1984. The project was jointly financed by the governments of Saudi Arabia, Libya, and the Muslim community of Sweden. In 2002, the centre was extended to include a school and two minarets. Fire broke out in the night of April the 28th. 2003 destroying all but the prayer hall and the minarets leaving more than 55,000 believers without their centre. According to the Swedish police the fire was arson. However in the summer of 2005 the Islamic centre was rebuilt. 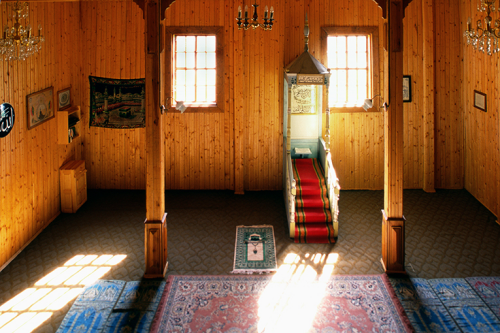 The prayer hall of the mosque in Keturiasdesimt Totoriu, Lithuania. 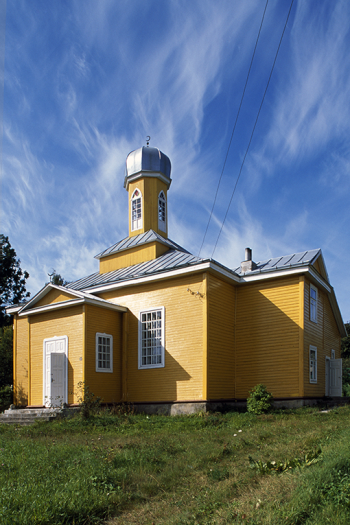 The mosque of Keturiasdesimt Totoriu village (meaning the "Town of the 40 Tartars"), located just outside Vilnius city, was mentioned for the first time, written in the year 1558. 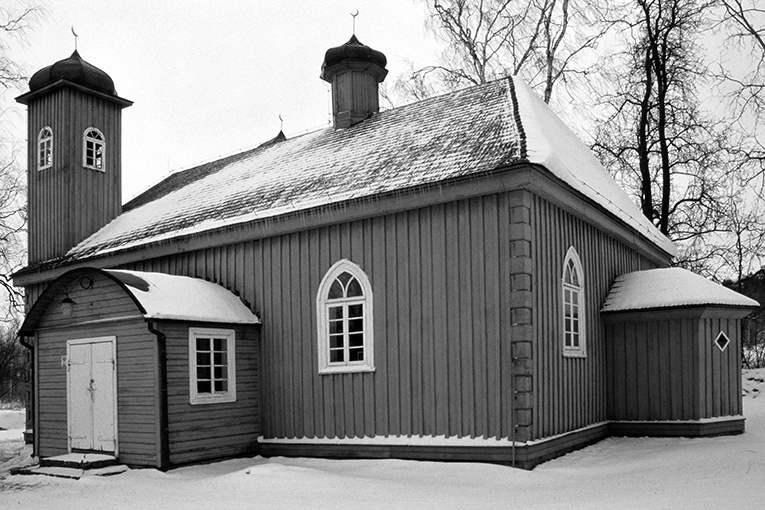 It is the oldest mosque in Lithuania available for believers. The inhabitants were descendants of the Tatars from the Crimea, who had been brought over 600 hundred years ago as officers and bodyguards of a Lithuanian prince into the country. The mosque is located in the little town Penzberg in South Germany close to the Alps and was opened in 2005. The architect is Alen Jaserevic from Bosnia and Herzegovina. 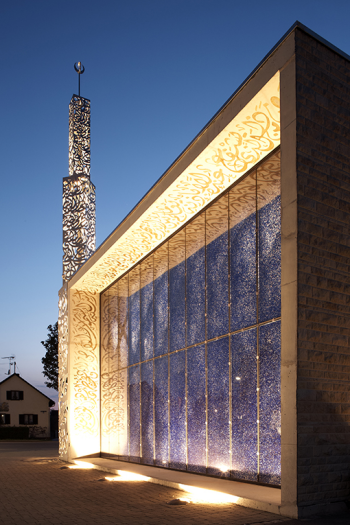 The aim of the architect was to design a mosque added to the typical South German environment. As in Germany, the call to prayer is normally not allowed to be broadcast the Adhan is "written" as calligraphy in the minaret. It is best to see in the evening when the lighting is on. 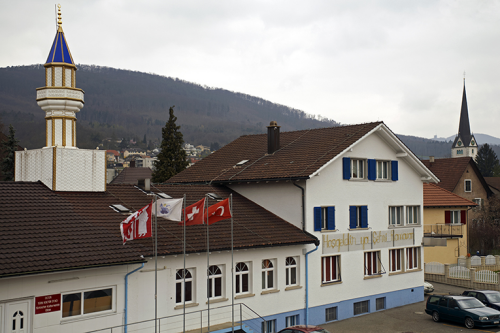 The Turkish Mosque in Olten, Switzerland stands in close proximity to the town's St. Gallus Church. Incidentally, it is provisionally the last minaret in Switzerland being the last built prior to the November 2009 referendum banning the construction of new minarets in Switzerland. 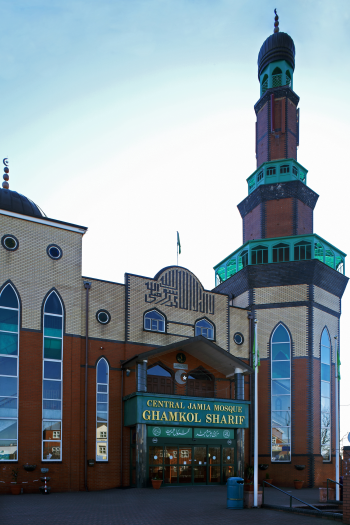 The Central Jamia Mosque Ghamkol Sharif in Birmingham, England. Estd. 1996, Architect: Derek Hewitt and Michael Dales. Palermo in Sicily whose very name, from the Arabic Balarm, defines its origins. The city, once an Arab emirate, was described in 973 by the eminent Arab traveller and explorer Ibn Hawqal as "the city of the 300 mosques" . 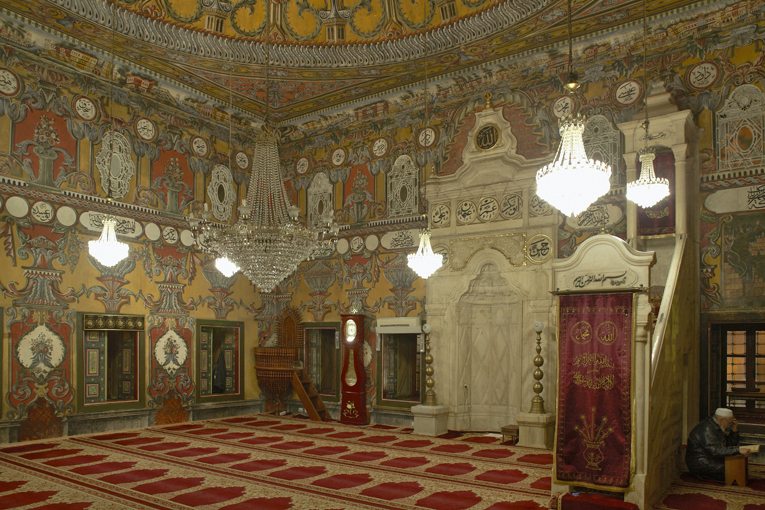 The prayer hall of the Pasha Cammii, in Tetovo with indoor decoration. The Pasha Cammii, in Tetovo, Macedonia was built by the end of the 15th century. Its particular outdoor and indoor decoration is a representative example of the unique artistic achievement of Ottoman religious building in Macedonia. For centuries this mosque has continuously preserved its religious and educational function with social and cultural meaning. Today's architectural form and decoration occurred after the second half of the 19th century (1833/34), when the renowned Abdurrahman Pasha of Tetovo ordered the reconstruction of the mosque, which had been a victim of the great fire that engulfed the city at the end of 17th century. The wooden mosque in Kruszniany, Poland was built in 1871 and is the oldest mosque in Poland. Over time, the "Lipka Tatars" lost their original Tatar language. As early as the 17th century, they were linguistically adapting to their Slavic environment. Today's Tatar descendants speak Polish, Lithuanian, or a Belarusian dialect.